Undoubtedly the greatest woman alive on the planet – A Mother! To celebrate her existence is vital and holds so much importance and respect. One day does no justice to this incredible human being. She gives life, sacrifices her’s and above all has so much love to shower all year around. It is that time of the year, to celebrate and honour the woman who gave us life and moulded our identity. Mother’s Day, for those without a Mother is a reminder that makes it harder to just focus on the day to day activities. The sheer reminder of this wonderful woman who gave us life is not around to celebrate. I will be stepping into the Fourth year of Mother’s Day. They say time heals, but such dates make it harder. This week getting into Mother’s Day, is way too much anxiety to control. Every where I turn I am reminded of her not being around. Contests, celebrations, events and much more. It seems an extravaganza of sorts. To all those who sent me invites and other blogging assignments, I am not sorry I couldn’t come around doing it. I could not fake my way and show the world I am happy about this day. Not everyone remembers that I lost my Mother, so its ok. I do not blame them. All I say is do not judge me for being a grumpy person this week. I have my own thoughts circulating as is. The very thought of her not being around is a huge void that cannot be filled no matter what. I have my own way of grieving, am sure each one of you with out a mother would agree. We as humans living in a society and to be constantly reminded this day of the year is exhausting. The tears have dried up as compared to the previous years. Her voice still lingers…faint and soft. The urge to pick up the phone to talk to her is very real. The heartache is like none other, when it keeps hitting you that she is no more. To be alone and not get bogged down is hard. It takes a lot of energy to stay focused and not thing any negative thoughts. There is no right or wrong when it comes to perceptions. Nothing anyone can say or do can change the fact that I have to move on. I like to be alone or try and get out for distraction. I love me time as this allows me to just be…. How I spend my time …. I like to ensure I am pampered or do some shopping to distract the mind. I love looking at animal videos or cats especially cats. These cute ball of fluff are the best and I feel a sense of calmness and forget the real issues around. Long showers, don’t we all love these. Some nice melody or tunes keep the mind afloat. Cooking a nice meal, or trying to replicate the dishes she used to make is solace indeed. To know that i learnt this form my Mother. She taught me WELL. She taught me to be INDEPENDENT . She taught me to BE PERFECT in my own little way. She LOVED every part of me even if I hated it. She taught me LOVE, how to LOVE. How to be KIND, show RESPECT and above all she GAVE ME LIFE. This is a day to focus on my priorities. I am sure she wouldn’t like it if I sat around mopping all day. The day will won’t be any easier. But I will try and move on. I will smile and continue to be her child. I am not weak, so don’t judge me is all I ask. Enjoy the moment, I keep posting it all the time. You never know what you got till its gone! 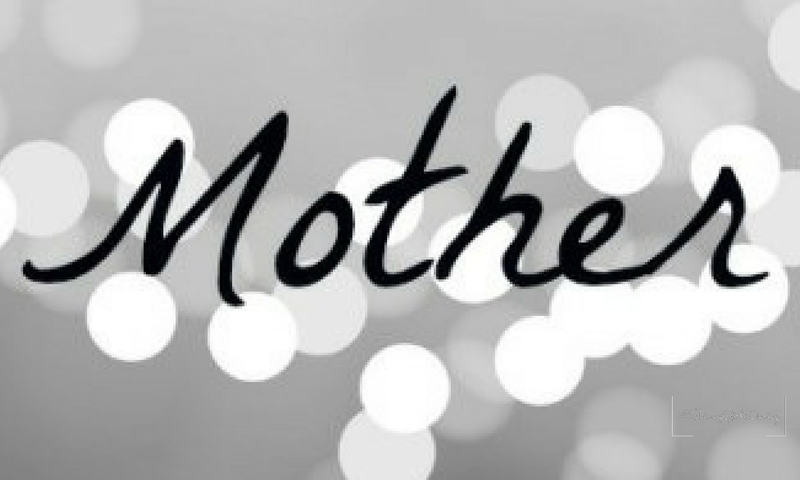 So live, for those of you with Mother’s go out there and celebrate. Give her enough pampering and tell her you love her for there will come a day when she won’t be around. I have grown stronger and my admiration for her will continue to live as long as I am alive. Mother’s Day is a day that I celebrate everyday now. She is in a way alive in me. I smile as I write this last bit. Happy tears roll down my cheeks. For I know its going to be ok. I tell myself it will for she raised me to be the best daughter in the world.